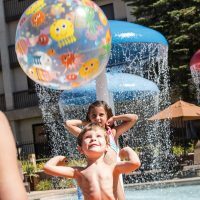 Looking for an awesome place to take the kids for a weekend getaway, but aren’t really interested in the big city vibes of New York or Philadelphia? Try Boston! Boston is a top-tier family-friendly city that’s clean, safe and home to some of the country’s most interesting attractions, history and culture — and, if we might add, some of the tastiest food. 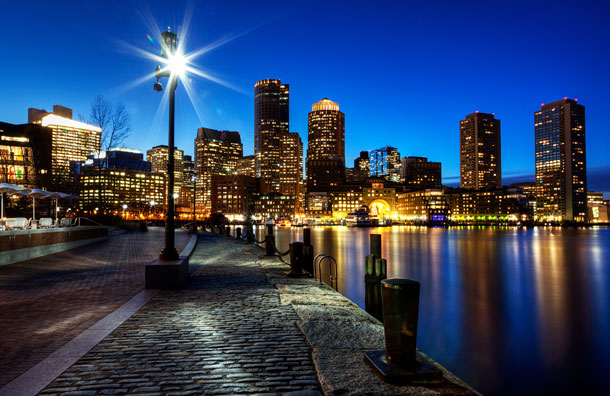 Boston is small in size, comparable to Milwaukee, Wisconsin, and Fort Worth, Texas. But unlike many smaller cities, Boston is absolutely packed with things for families to see and do. 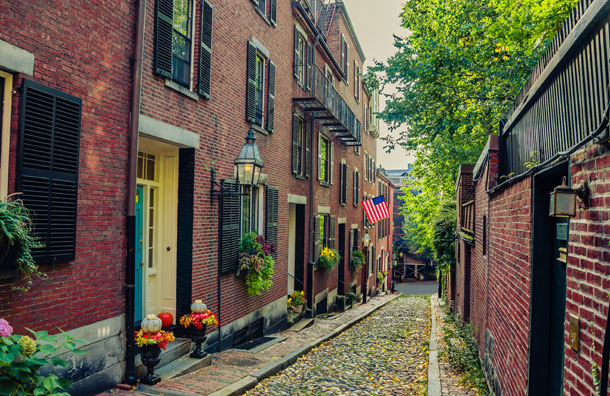 If Boston isn’t already on your list of places to visit, we’re here to change that. Here, ideas for things to do on a Boston weekend getaway with your family. 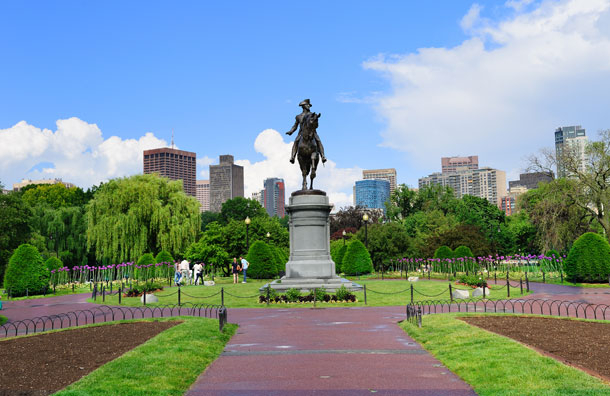 Start your Boston weekend trip with kids in the heart of the city: Boston Public Garden. Here, fans of Robert Mccluskey's Make Way for Ducklings will find a row of bronze duck sculptures to mimic the ducks heading home to their pond from Charles Street. Follow the ducks to the pond, where Boston's famous swan boats await for a unique cruise. In the winter, cross the street to Boston Common, where an ice skating rink and hot cocoa kick start your day. From Boston Common, begin the historic, 2.5-mile Freedom Trail (or just parts of it). Follow the red-painted line to 16 of Boston's most important sites, many from the start of the Revolution, including King's Chapel, Old North Church and the Bunker Hill Monument. You'll stop by the Old South Meeting House, the very spot where, on Dec. 16, 1773, 5,000 angry colonists organized to carry out what would become known as the Boston Tea Party. Once you come upon Quincy Market, located inside the also-historic Faneuil Hall Marketplace, you'll find plenty of shops and places to eat, as well as clowns, magicians, jugglers and a variety of other street performers to keep the kids entertained. Boston is a big comedy town -- Jay Leno, Dennis Leary, Conan O'Brien, and Steven Wright all began here -- so take the kids to ImprovBoston's Saturday night family show. Winner of the Nickelodeon Award for Best Children's Theater, ImprovBoston's Family Show features some of Boston's best improv comedians, musicians and performers, and is sure to split the sides of every member of the family. Shows are every Saturday and start at 4 p.m. Note: Buying tickets in advance is highly recommended. Take a tour of America's oldest ballpark, Fenway Park. Even if you're not a Red Sox fan, you'll appreciate the history behind this great American landmark, the oldest ballpark in the country. 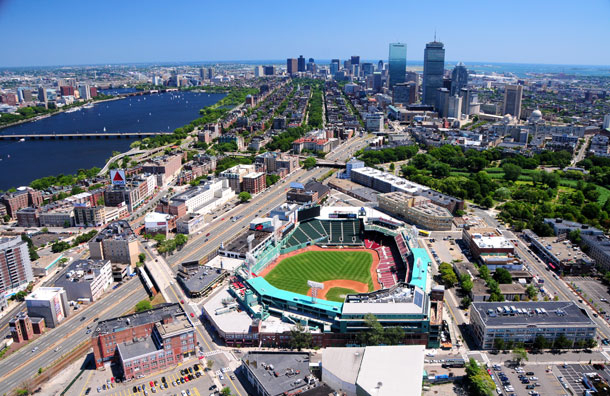 You'll learn about the park's history, some of its most famous players (including Babe Ruth) and some other quirky facts, including the story behind The Lone Red Seat, Pesky's Pole, The Triangle and The Green Monster. Not a baseball fan? Tours are also available for the TD Garden (known locally as The Garden). For a unique look at the city during your weekend getaway in Boston, skip the trolley tours and take a Boston Duck Tour. Guests board a World War II amphibious landing vehicle, called a DUCK, and take a tour around the streets of Boston and then head to the Charles River for a tour between Boston and Cambridge. The entertaining conDUCKtors spout facts about the culture and history of Boston that you'd be hard-pressed to find elsewhere. Boston has a lively theater district, mainly on Boylston Street and Tremont Street. You'll find a wide array of family-friendly repertory company and even Broadway shows. Check out what's playing at the Colonial Theatre, the Robinson Theater, the Salem Theatre Company, Charles Playhouse, Wang Theater and the Boston Opera House. 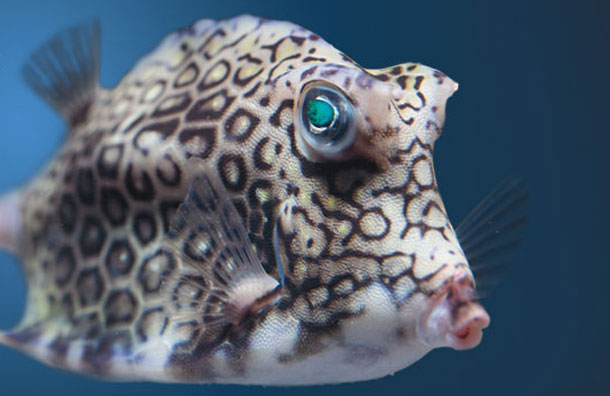 Begin your final day in Boston's waterfront, starting with a visit to the New England Aquarium. This facility houses thousands of sea life species, including sharks, stingrays, turtles and penguins. There are a variety of shows and demonstrations, and the main feature, the Giant Ocean Tank, is a 200,000-gallon fish tank that simulates a Caribbean coral reef. When you have had enough of the fishes, walk to the nearby Boston Children's Museum, where you'll find the New Balance Climb. The three-story climbing structure (fun for adults and children) is located at the entrance and it may take some cajoling to get the kids to move on to the exhibits, including an indoor construction site, art studio, green trail, children's playhouse and plenty of other hands-on exhibits. There's also an indoor/outdoor picnic area that's perfect for a family lunch! This 273-unit property, located in Boston's beautiful Back Bay area and directly facing the Boston Public Garden, is close to all of Benton's family attractions, shops and restaurants, making it a great place to stay during a Boston weekend trip with kids. 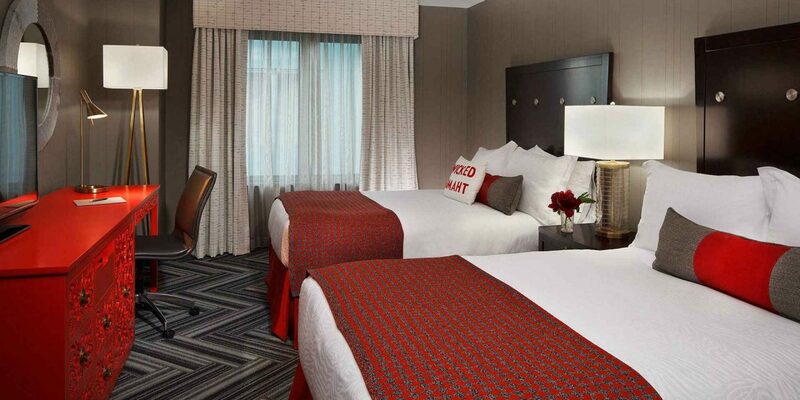 Each room features one king or two double beds, complimentary bottled water and bathrobes. There's also a 24-hour onsite gym and swimming pool with pool toys for kids. Kids' amenities at the Four Seasons Hotel Boston include a welcome gift in your room upon check-in, child-sized slippers and bathrobes, a gift from the onsite Toy Wagon and a complimentary late-night snack on Saturdays. For teens ages 13 to 19, there's the Virtual Amenity program, which includes a complimentary drink, snack and prize. Plus, if you book the hotel's Kids' Adventure Package, your family will receive a special hands-on cookie-making class! 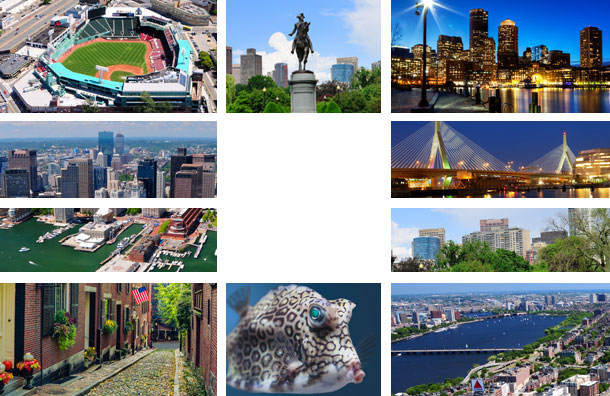 The Onyx Hotel - A Kimpton Hotel is located within walking distance to many of Boston's most prized attractions, including Bunker Hill, Faneuil Hall and the Freedom Trail. The hotel's rooms come with 37-inch flat-screen TVs, iHome Sound Systems with charging docks, king or double beds and complimentary Wi-Fi. There's also an onsite restaurant and fitness center, and pets are welcome to stay, too. Kids receive a special welcome gift at check-in, along with a leopard-print robe to wear during their stay. Budget is harder to come by in Boston proper. 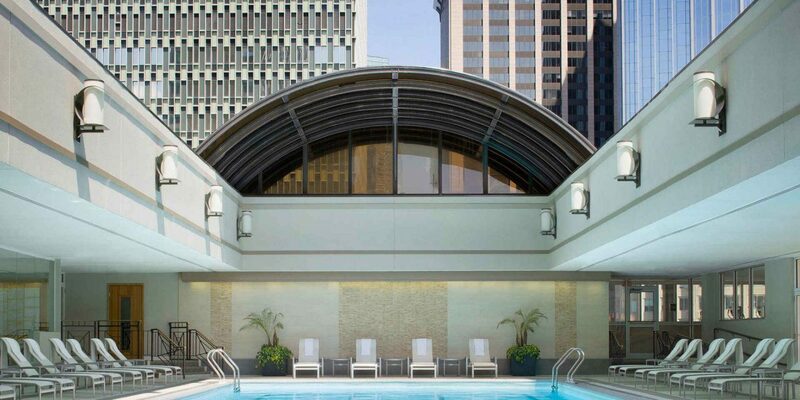 But the Sheraton Boston Hotel in the heart of Boston's Back Bay is a decently priced hotel located near Fenway Park and Boylston Street. Onsite parking is also available. The hotel mainly services the convention center crowd, but with 1,220 rooms, it's often easy to find a deal for a weekend trip to Boston with kids. This popular sports bar on Portland Street (near the Boston Garden) gets busy on weekend nights and during games, but on Sundays, its Reggae Brunch is something parents and kids alike will love. Get there early for less crowds and to beat the lines, then let kids dance near the stage while you munch on delicious brunch fare like French Toast Bread Pudding and West End Huevos. 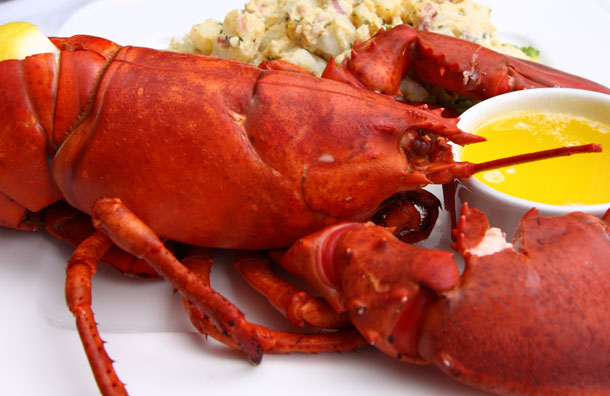 For Bostonians, this is hands-down the best lobster and seafood spot in the city. In fact, they love it so much, there are now three locations in the city. 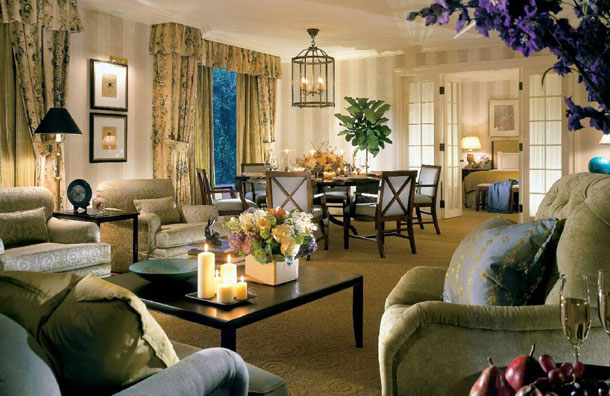 Head to the original, located at 26 Park Plaza, the lower level of the The Boston Park Plaza Hotel & Towers near the Public Garden. You'll enjoy mouthwatering lobster rolls, scallops, fresh fish, bisque and some of the best New England clam "chowdah" you've ever had. One of the country's oldest restaurants is the Union Oyster House, located at 41 Union Street, across the street from Quincy Market and located right on the Freedom Trail. This is another family-friendly seafood joint with a kids' menu, renowned for its raw bar, as well as a variety of the freshest fish around. Their fish and clam chowders are delicious, along with the seafood Newburg, grilled items (chicken, shrimp, salmon, etc. ), crab cakes, lobster rolls and fried oyster rolls. A landmark in Boston since 1827, Durgin Park is a Faneuil Hall lunch and dinner spot for all ages. (They say, "Your grandfather and perhaps your great grandfather dined with us, too!") The Irish-American inspired menu has plenty for kids, and the casual, typically loud atmosphere is family-friendly. Located on the top floor of the Langham Hotel in the Financial District (quiet on weekends), the Chocolate Bar is a kids' dream come true: a chocolate-themed, all-you-can-eat brunch. Chocolate is everywhere: pancakes, cereal, breads, croissants, and desserts. The brunch can be pricey (kids under 5 are free), but it's a special treat for your weekend getaway in Boston with family. While there's always something going on in Beantown, fall and spring are two tourist favorites. We recommend fall, as Boston is known for its beautiful autumn foliage -- the trees come alive with the bursting of vibrant browns, oranges and yellows. During the winter, the parks are decked out in lights for the holidays, and Boston Ballet's Nutcracker is considered one of the best in the world. Be wary of springtime travel, as a Boston spring is jokingly referred to as an extra winter, complete with Noreasters and lots of snow and mud. Because of its compact size, getting around Boston is easy if you know how to do it. We wouldn't recommend traveling here by car if you can avoid it, as the streets (many of which are narrow and one-way) can be somewhat difficult to traverse. Plus, parking is expensive and finding on-street parking isn't easy. Walking is easy, as the town is very compact, but Boston's subway, the T, is clean, easy to use and cheap. Though representative of all of Boston's public transportation system, the term "The T" is most used in connection with the city's subway system. Fare is $2.25 and can be purchased in the form of Charlie Tickets or Charlie Cards that can be refilled at machines located in the stations. Children 11 and under ride free on any of the city's public transportation when accompanied by an adult. Your Charlie Card/Ticket may also be used on any of Boston's bus routes. The buses are clean, the routes are efficient and they offer a better chance to see some of Boston's beautiful cityscape than the subway. For the family interested in sightseeing during a weekend getaway in Boston, a trolley tour may be the answer. You can buy a ticket, hop on one of the trolleys, hop off if you find something you want to explore and then hop back on when you're done. Note: The city uses three separate bus companies for the tours, and tickets are nontransferable. If you hop off the trolley at one stop, you'll only be allowed back on another trolley belonging to that company.